We couldn’t pry the secret pickle shot recipe from the otherwise friendly Hi-Tones bartenders just south of the St. Mary’s Strip, but you already know the magic ingredient. 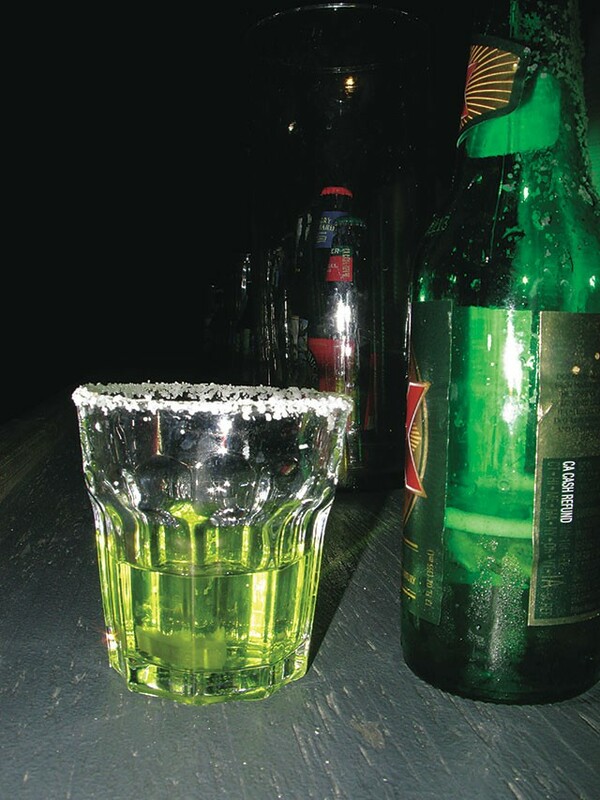 In addition to casting a neon green glow, sodium-laden pickle juice helps replenish electrolytes, making it a surprisingly wise choice for a long night of boozing. Plus, a lot of people (including us) just plain like the salty-sour taste of Hi-Tones’ pickle shot, which completely masks any liquor contained therein without the stigma of being a lightweight’s favorite. So, pucker up.